Emalia was a true daughter of Hawaii, who loved the islands, its people, culture and traditions, the land, and the ocean. A beloved daughter, sister, wife, mother, and friend, Emalia grew up on Maui, taught at Seabury Hall, married her longtime sweetheart JB Guard IV, and had a son, who turned three years old several days before she died. In 2012 Emalia was diagnosed with colorectal cancer, stage IV, a huge shock because she had always known excellent health and fitness. Immediately, Emalia went into gentle warrior mode and despite her fatigue, pain, and nausea, focused on beating the cancer. She fought it single-mindedly and never complained, focusing on regaining her good health, mothering their young son, and her husband. However, despite many, many rounds of chemotherapy and surgery, Emalia’s aggressive cancer could not be halted. Emalia died peacefully at home on February 10, 2014. 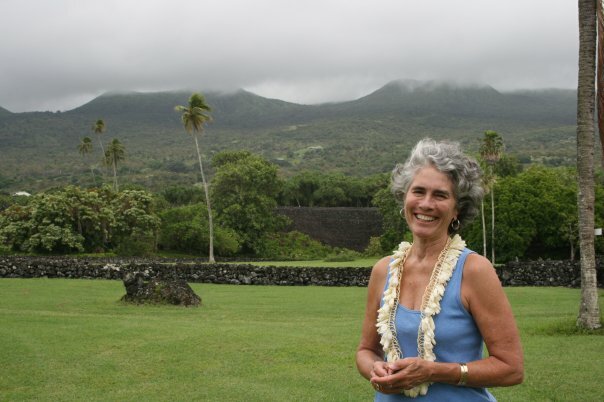 My grandson Kahalakea had his third birthday only days before my beloved daughter Emalia died, and soon afterwards I sought guidance as to how to gauge his ongoing adjustment to the loss of his mother. What does one tell a 3-year-old? What signs would indicate a problem? What might normal grieving look like for a child his age? What might we expect as he grew older? That so many loving family members and friends surrounded him was a blessing; but, as a psychologist I knew that the loss of his beloved mother was going to affect him for his lifetime. Seeking information, I learned that the only children’s bereavement resource on Maui – Lili’uokalani Trust, an excellent program – could only serve those of Hawaiian ancestry, thus leaving a huge void for Maui’s diverse ethnic population. Good fortune directed me to The Dougy Center in Portland, Oregon, an outstanding children’s bereavement program, and I decided to create such a center for the children, teens, and young adults of Maui. If children and youths do not have the opportunity to work through their grief, their trauma may be obscured for many years to come – and surface in the guise of adolescent problematic behavior, suicide, and impaired relationships for decades. A program modeled on The Dougy Center would also give parents or adult care providers much needed support – just as I’d needed. Nā Keiki O Emalia (Emalia’s Children) received its nonprofit status from the IRS in August, 2015, and my dream is for us to grow during the years to come to match the needs of Maui’s grieving children, teens, and their families. I feel my beloved daughter working so closely with me on Nā Keiki O Emalia and know it carries forward her love and gratitude for the Maui community.